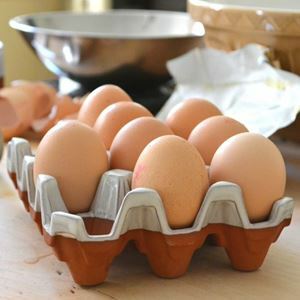 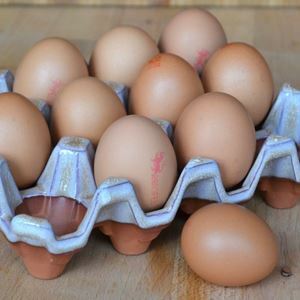 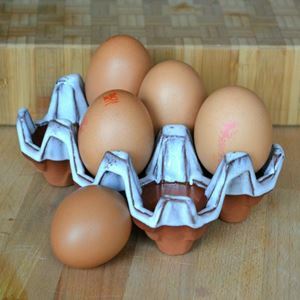 Based on corrugated egg tray designs our durable ceramic egg rack is a practical way to securely store half a dozen eggs at room temperature. 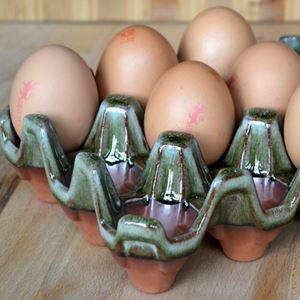 Available in natural terracotta & a range of coloured glazed finishes, there is a ceramic egg rack to suit many kitchen types & styles. 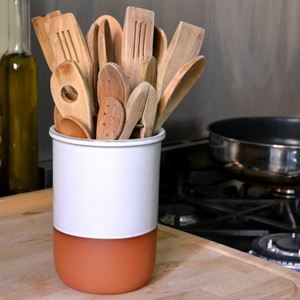 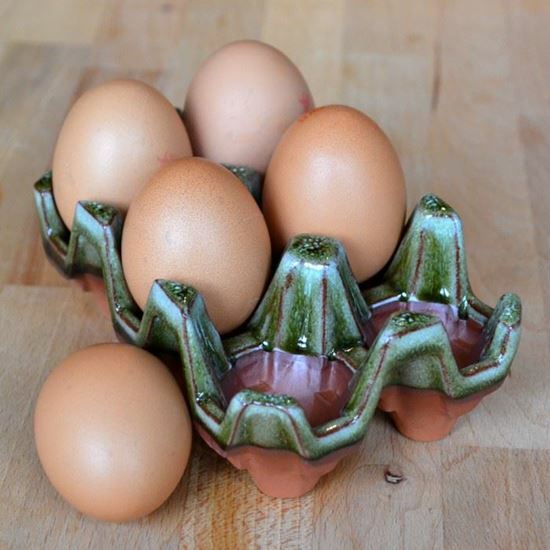 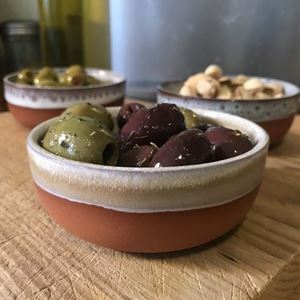 This egg rack is made in the UK at our pottery studio in Nottinghamshire from quality English terracotta clay. 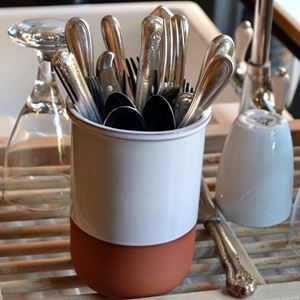 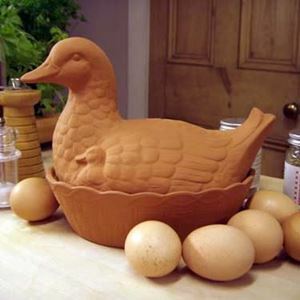 Our Terracotta Duck Egg Basket is the natural choice for securely storing duck eggs in the kitchen or pantry.